There is a new horror story in Town … BEAKS! Just when you thought it was safe to walk back into the coop, it turns out that those pesky Backyard Hens are pyromaniacs at heart, just waiting for the chance to turn themselves into rotisserie sacrifices for Colonel Sanders. In Part One of this trilogy, titled Get Crackin’, Henny Penny and Chicken Little had squawked about the Backyard Hens waging biological warfare on Caledon.They raised fears of salmonella poisoning wiping out our children and avian flu spreading to our factory farms and wiping out our economy. That turned out to be false. The proverbial Fox News in the chicken coop, so to speak. Now, in Part Two, Henny Penny is back at it again, this time raising fears of Caledon burning to the ground from unattended chicken coop heaters. Henny Penny reportedly found a story on her favourite Backyard Chicken site on the dark web. Some person improperly heating their coop sadly lost their pet chickens in a fire that nearly spread to their house. Note to self: 1. Don’t build your residential coop close to your house. 2. Don’t heat it. Fortunately, Rooster Cogburn researched fire safety in Ontario, Canada and found the following: zero fatalities from backyard chicken coop fires. Turns out the number one cause of fires is home cooking, especially those deep fat fryers used for southern fried chicken and chips. In fact, cooking, smoking and arson were the top three causes of house fires, with heating equipment, electrical malfunction and candles coming in at the end. You are, therefore, in greater danger of burning down your house and the Town by cooking your chickens than getting fresh eggs from them. Fortunately, your chickens, in a properly built coop, don’t need winter heating. The exception being their water supply. That, of course, you will make sure is on a Ground Fault Interrupter (GFI) circuit. 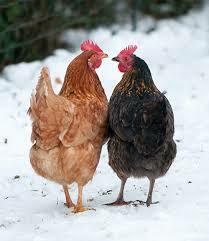 Chickens can withstand cold winter temperatures, especially our hardy Canadian breed, the Chantecler. Also, lighting and heating their coop over the winter will only force them into egg laying in the season when the girls should be getting a break. If the nest box area is insulated, the floor covered with deep shavings, a little passive solar input for sunny days, and the ventilation properly situated, your hens will be just fine. They are, after all, wearing down jackets. Keep the door to the run open in the daytime, because you’ll find them out playing in the snow – nobody likes to be “cooped up” all winter. In a really cold snap, like the one we are experiencing now, a single 60watt red light bulb (available from any pet store as a reptile heat bulb (about $20.00 for a 2pack) will do the trick. NOTE: Do NOT use a white light bulb which will throw off their winter diurnal cycle and force unseasonal egg laying. Above all, please remember the old adage: good research does not mean pressing Google on your computer screen and going to the first site that appears. If we did that, everyone with a headache to diagnose would have concluded that they have a tumour, or meningitis, or subdural and epidural hematomas, or cerebral venous sinus thrombosis. Oh, my! And please remind Henny Penny: If you play with fire, you’re likely to get burned. The morning hike included the chance to reconnect with some old friends and meet a lot of new ones on our Forks of the Credit journey that morning. One of those reconnections was with Sally Moule, a fellow teacher from North York in the heady days of Outdoor and Environmental Education when our students could actually experience the Bruce Trail. Not only that, but their woodworking son, Rick, turns and carves custom wooden bowls and utensils, one of which will stirring my bourguignon this weekend. Ah, the joys of hiking outdoors – a reconnection with friends that blessed us with a tree, a spoon, and a Trail protected. All from accepting an invitation to a pot-luck luncheon. 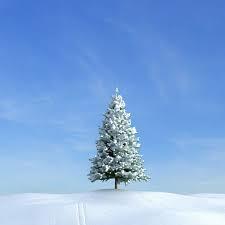 Only one week to go until we celebrate a Wonderful Winter Solstice and a Happy New Year! May yours be healthy and happy and filled with peace. On the evening of December 7, 2017, I had the honour of interviewing Mr. Nabil Marouf, the official representative of the Palestinian Delegation in Canada. Now, had the League of Nations and the United Nations followed through on their promises to the people of Palestine following World Wars One and Two, it would have been a different interview. I would have been speaking to the Ambassador from Palestine in his office at the Palestinian Embassy in Ottawa. But as our Canadian First Peoples know all too well, the promises of colonial powers are often ephemeral. When I spoke with Mr. Marouf in Ottawa, he was absolutely clear in Palestinian condemnation of the unilateral decision by the Trump administration to declare Jerusalem the Capital of Israel, and to announce that the American embassy would be moved from Tel Aviv to Jerusalem. “This is a clear violation of International Law,” Mr. Marouf stated, referring to the United Nations Declaration 181 that has proclaimed Jerusalem an Internationalized City. He was absolutely correct. In fact, at the end of World War One, the League of Nations, the precursor to the modern UN, had passed Article 22, that declared Jerusalem to be the capital of Palestine. However, global colonial guilt over the Nazi genocide of the Jewish people, and the refusal of good Christian nations to take shiploads of Jewish refugees into their ports, resulted in a different outcome. When ethnic cleansing by Jewish terrorist organizations in 1948 drove 10,000 Palestinians out of their homelands, the new UN declared them to be “refugees” and not a “people” This is why the word “complicit” is the word of the year. My first question to Mr. Marouf was on his reaction to the Pronouncement of the Canadian government, from Prime Minister Trudeau and Minister of Foreign Affairs, Chrystia Freeland: ‘‘Canada is a steadfast ally and friend of Israel and friend to the Palestinian people. Canada’s longstanding position is that the status of Jerusalem can be resolved only as part of a general settlement of the Palestinian-Israeli dispute. Mr. Marouf’s response was unequivocal, “We deeply appreciate the support of Prime Minister Trudeau and the Government of Canada as expressed in the statement by Minister Freeland.” He felt that Canada had a clearer understanding of the historic roots of the conflict, with East Jerusalem being the Holy City of Palestine and many of the world’s religions, and West Jerusalem being under Israeli control. The annexation and illegal occupation since 1967 of East Jerusalem by Israeli forces has been condemned by the United Nations and the international community. Despite UN Resolution 242 calling for the withdrawal of occupying forces, Israel seems committed to defying International Law and the pursuit of a just peace, and to the slow extermination of the Palestinian people. To the heart and through the heart. After our interview, we agreed to meet again in Toronto to review what the coming weeks would bring. I write this with the distinct feeling that President Trump has no idea what he has unleashed, but peace in the Middle East will not be one of the outcomes. I tried to place myself on the prayer mat of a devout Muslim, in the shoes of a father living in the Gaza strip. How would I view this arrogant, unilateral decision by the enabling power of my occupiers? Reposted on December 7 in the wake of the Trump administration’s unilateral announcement that Jerusalem will be considered the capital of Israel for the U.S.A. 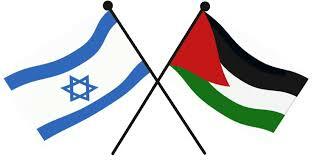 The current tragic conflict between Palestine and Israel has its historic roots in western values. The values of colonialism and capitalism. Basically, we support democracy in North Africa and the Middle East as long as the democratically elected government is one of which we approve. For example, we were in full support of the Arab Spring until they democratically elected the Muslim Brotherhood. So, we quietly stood by while a military coup replaced those Islamic fundamentalists. Or, we loudly supported democratic elections in Palestine until the people in Gaza elected Hamas. Then we loudly turned all of our support to our friend, Israel, so they could defeat those Islamic terrorists. He discovered that it was a Canaanite group, the Semitic Jebusites, who founded Urusalim and settled there in 4000 BCE. Around 2000 BCE, Abraham passed through briefly when he wandered south from Ur. Moses, years later, wandered north from Egypt, but still couldn’t displace the Jebusites. Four centuries later, King David finally defeated the original inhabitants of the area and briefly united the Jewish people there. After his son Solomon’s death, they split into two states, Israel and Judah, and the area was subsequently conquered by the Assyrians, the Chaldeans (when Nebuchadnezzar took the Jews to slavery in Babylon), Alexander the Great, and the Romans, who gave Palestine its present name. The Arabs and the evolution of Islam arrived in 634 CE. Several conquering and occupying dynasties later, Britain, at the end of World War II, handed the “Palestinian Problem” to the newly formed United Nations. The UN created two territories, one for the Arabs and one for the Jews. There were 750,000 Arabs and only 9000 Jews in the Arab territory, whereas the Jewish territory had a 50/50 split of about 500,000 each. The Jewish terrorist organization, the Irgun, didn’t like this ratio, slaughtered over 250 civilians in the village of Deir Yassin in 1948 and, without any standing under international law, Israel declared itself to be an independent country as 10,000 terrified Palestinians fled the territory. Ah, democracy and western values. He discovered they are like the quest for world peace. Ideals at the end of the rainbow. And just as elusive. The Palestinian General Delegation in Canada affirms that international legitimacy and law define clearly the status of the city of Jerusalem and that East Jerusalem is: a Palestinian land, occupied by Israeli forces in 1967 and is subject to the fourth Geneva Convention. As such, any attempts to change the geographical or demographical status of East Jerusalem is illegal, null and is in clear contradiction and violation of the international law. The Palestinian General Delegation in Canada condemns any unilateral attempt to change the status of the city of Jerusalem. This attempt constitutes a flagrant violation of international law and a blatant contempt of international legitimacy, United Nations and Security Council resolutions. The international community must take action to end the exploitation of power which tries to enforce an illegal status on the city if Jerusalem. Any attempt to change the status of the city of Jerusalem suffocates hopes for a peaceful resolution of the Palestinian-Israeli conflict and sabotages efforts to revive already stalled peace talks and negotiations. The International legitimacy has supported and adopted a peaceful resolution of this conflict based on a two-state solution on the borders of 1967, through enabling the Palestinian people to establish their independent state, with East Jerusalem as its capital, living side by side with Israel. Canada remains an important and strategic country for the Palestinians. The Palestinian General Delegation in Canada reiterates its commitment to work on developing bilateral relations that would ensure the prosperity of all Palestinians and Canadians. It further ensures readiness to remain a reliable partner when needed.